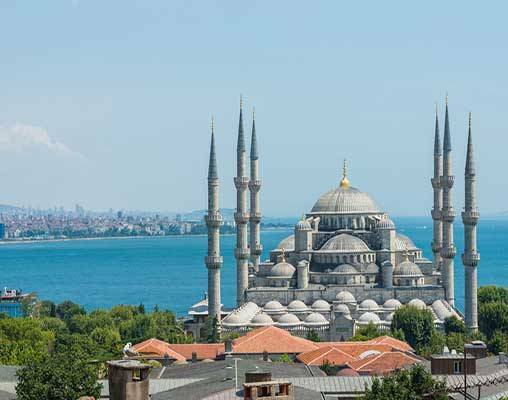 Take a journey across Europe from Paris, with stops in Budapest and Bucharest before reaching your final destination of Istanbul. This classic Venice Simplon-Orient-Express train journey departs just once a year. 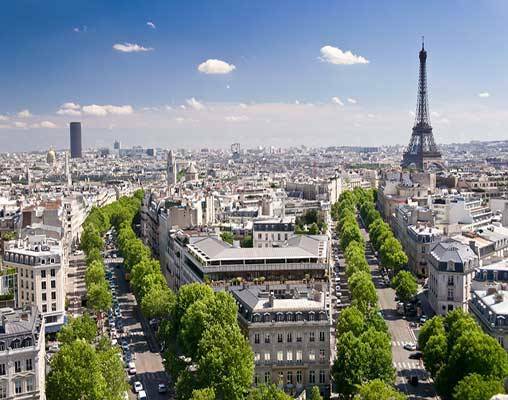 Depart Paris for your overnight journey towards Budapest, where you will disembark for dinner and a hotel stay. The next day enjoy a city tour and lunch featuring local fare. 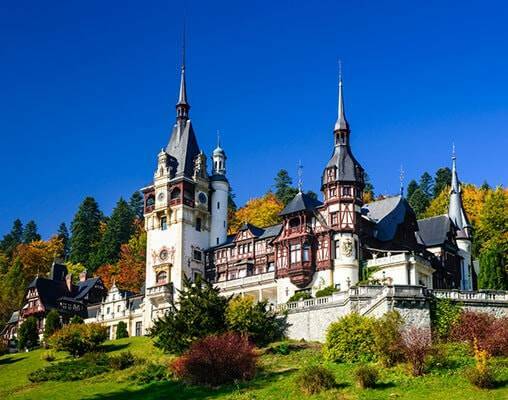 Then travel onward to Romania, where you will visit the Peles Castl, a Neo-Renaissance castle in the Carpathian Mountains. 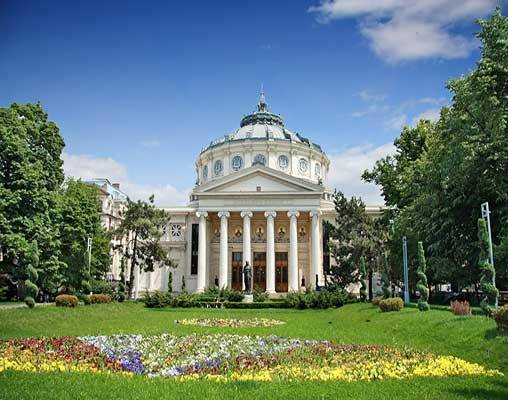 It's just a short train ride further to Bucharest where you can enjoy its cuisine, head out sightseeing, and relax at your hotel. When you rejoin the train the next day, you will stop in the fascinating country of Bulgaria. Enjoy your last night and day on board as the train travels to your final stop, Istanbul. Board the Venice Simplon-Orient-Express train at Paris Gare de l’ Est mid-afternoon. After being greeted by your steward, settle into your cabin and relax with a delightful afternoon tea. Later enjoy a delicious gourmet dinner on board the train. 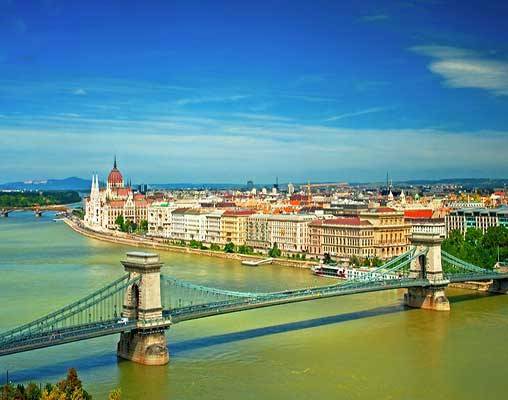 Enjoy the sublime scenery as the Venice Simplon-Orient-Express travels into Hungary. Continental breakfast is served in your cabin and lunch will be taken in one of the opulent dining cars. Afternoon tea is served later in the journey. On arrival in Budapest transfer to your luxury hotel. Dinner and overnight in Budapest. 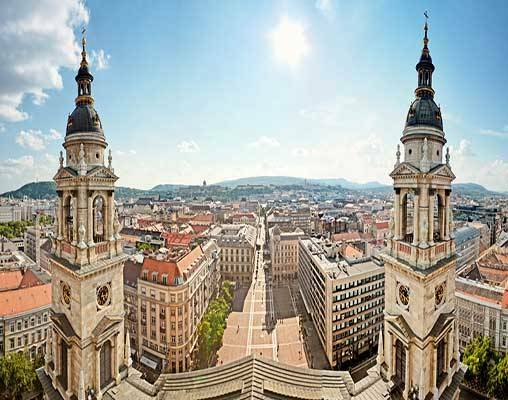 After breakfast at your hotel, enjoy a private guided tour of the city Budapest, with lunch at a local restaurant included. Rejoin the train late afternoon and perhaps enjoy an aperitif in the Bar Car before dinner as the train travels into Romania. The train arrives at the mountain town of Sinaia, after breakfast, disembark for a visit to beautiful Peles Castle. Rejoin the train to complete the short journey to Bucharest. On arrival transfer to the Athenée Palace Hilton Hotel where a late lunch is served. In the afternoon there will be a short city sightseeing tour. Dinner and overnight in Bucharest. This morning, rejoin the Venice Simplon-Orient-Express as the train travels south across the Danube and into Bulgaria. During the afternoon, a stop is made to enjoy this pretty rural country. Lunch and dinner are served on board the train, as your journey continues. This final night is spent on board the Venice Simplon-Orient-Express. Early this morning the train enters Turkey and crosses the beautiful Thracian Plain. After breakfast and lunch on board, the Venice Simplon-Orient-Express arrives at Istanbul. Embark on a voyage aboard the Venice Simplon-Orient-Express train and become part of its glorious, ever-changing history. The Double Cabins feature upper and lower berths while Single Cabins have one lower berth. During the day, the berths are transformed to offer comfortable banquette seating from which to admire the views. Crisp damask sheets and fine blankets contribute to a cozy and restful atmosphere at night. Enjoy the unique ambiance of each of the three beautifully restored 1920s restaurant cars. Côte d’Azur, boasting Lalique glass panels, Etoile du Nord with its beautiful marquetry, and L' Oriental, decorated in black lacquer. At the heart of the train, the stylish Bar Car offers a welcoming environment in which to relax over cocktails or coffee. Chat to fellow guests or enjoy music by the resident pianist. Enter your details below if you would like to be notified when 2020 dates and prices are available for Venice Simplon Orient Express - Paris-Budapest-Bucharest-Istanbul.